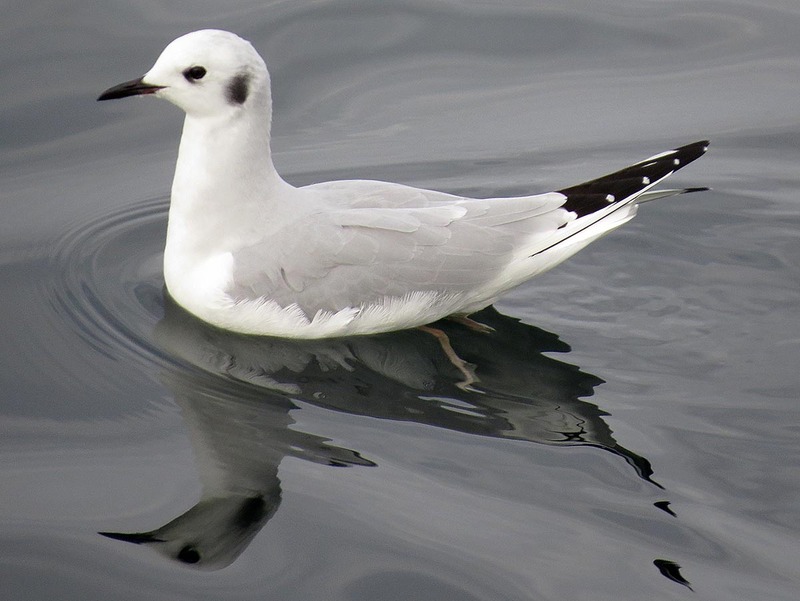 Small, tern-like Bonaparte's Gulls often form a chorus-line at the water's edge. Side by side, in half an inch of water, they stomp their feet as fast as they can. Under this pummeling, a smorgasbord of shrimp is stirred up for the gulls to harvest. 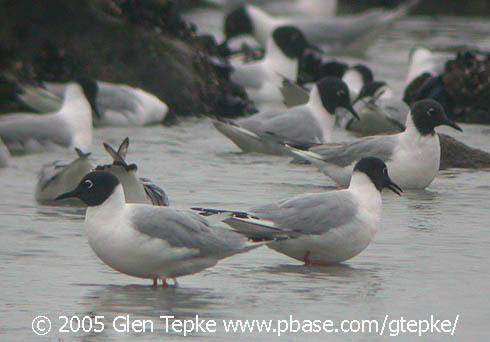 Is this a learned behavior, or were these gulls born knowing how to forage cooperatively? Who knows? But it's hard to imagine a more nutritional dance routine! Introduce a friend to BirdNote! Share this story through Twitter, Facebook, or e-mail by clicking the icons above. Thank you. Is this a learned behavior, or are the gulls born knowing how to forage cooperatively? Most likely, it’s innate, but no one knows for certain. Bird sounds provided by The Macaulay Library at the Cornell Lab of Ornithology, Ithaca, New York. Calls of the flock  recorded by W.W.H. Gunn, single adult  by G.A. Keller. Musical selection from “Can-Can” Gaite Parisienne, Jacques Offenbach composer.